With both major political party conventions finally behind us, it’s time to focus on the upcoming national election. Among their many differences, the Republicans and Democrats have widely divergent tax platforms. While platforms are always relatively nonspecific and not necessarily synced with what the presidential candidates have in mind, it’s still good to know what tax positions the two parties and their presidential candidates have staked out. Here’s a quick summary. 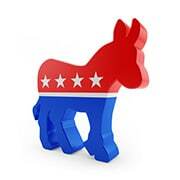 The 2016 Democratic national platform was adopted on July 25. It includes generalized goals that you might expect from the Democrats, such as closing tax loopholes that benefit wealthy individuals and supporting small businesses by providing tax relief and simplifying the tax code. Repealing the Affordable Care Act’s (ACA’s) 40% excise tax on high-cost health insurance, which is scheduled to take effect in 2020. 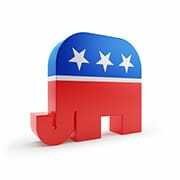 The 2016 Republican national platform was adopted on July 18. In general, the Republicans want to promote economic growth and eliminate unspecified special-interest loopholes, while being mindful of the tax burdens that are imposed on the elderly and families with children. Opposing any legislation that would impose a carbon tax on businesses or individuals. So far, Democratic presidential nominee Hillary Clinton has provided more specific details on her tax proposals than her opponent. Some of these ideas elaborate on (or contrast with) her party’s platform. Individuals. Clinton’s plans include higher income tax rates for wealthy individuals. She advocates a 4% fair-share surcharge on individuals who earn more than $5 million per year. And she’d ask the wealthiest to contribute more to Social Security. In addition, she proposes limiting certain itemized deductions for high-income individuals and disallowing IRA contributions for individuals who have large IRA balances. Capital gains. Clinton proposes a graduated tax rate regime where the capital gains tax rate decreases from 39.6% to 20% over a six-year period. (The 3.8% net investment income tax would still apply, however.) The idea is to encourage long-term investing. The biggest impact would be on assets held for more than one year but not more than two years: Tax rates on gains from those assets would nearly double. Businesses. Clinton would like to impose new restrictions and tax increases on U.S. companies with foreign operations. Her plans also include a risk fee on large banks and financial institutions, as well as curbing tax subsidies for oil and gas companies. She’d also offer a 15% tax credit for employers that share profits with workers and a $1,500 tax credit to businesses for each new apprentice that they hire and train. Estate tax. She proposes reducing the federal estate tax exemption to $3.5 million (from $5.45 million) and the lifetime federal gift tax exemption to $1 million (from $5.45 million). Her plans also would raise the federal estate and gift tax rate to 45%. Healthcare. Clinton proposes a 20% credit to help taxpayers offset caregiving costs for elderly family members (up to a maximum credit of $1,200). In addition to liberalizing the existing premium tax credit to make healthcare coverage more affordable, she’d establish a tax credit of up to $5,000 per family for buying health coverage on ACA exchanges. Republican presidential nominee Donald Trump has several ideas to simplify our tax system, which don’t always sync with the Republican platform. Here’s what’s been discussed on his website or on the campaign trail to date. Individuals. Trump proposes fewer tax brackets and lower tax rates for individuals. His plan now calls for three federal income tax brackets: 12%, 25% and 33%. Currently, individuals can fall into seven federal income tax brackets: 10%, 15%, 25%, 28%, 33%, 35% and 39.6%. He’d also like to abolish the alternative minimum tax. His plans would curtail some existing individual write-offs, but he’d retain the deductions for home mortgage interest and charitable donations that the tax code currently allows. He also recently proposed making U.S. families’ child-care costs tax-deductible. Capital gains. His proposed tax rates on long-term capital gains and dividends would be 0%, 15% and 20%. Businesses. Trump proposes cutting the corporate tax rate to 15% (from the current 35%). His proposed 15% tax rate would also apply to business income from sole proprietorships and business income passed through to individuals from S corporations, limited liability companies and partnerships. He’d impose a cap on business interest deductions. Trump would eliminate the tax deferral on overseas profits and allow a one-time 10% rate for repatriation of corporate cash that’s held overseas. His plan also ends the current tax treatment of carried interest for speculative partnerships that don’t grow businesses or create jobs and are not risking their own capital. Estate tax. Trump would like to eliminate the federal estate tax. Healthcare. Trump would like to repeal the ACA and any ACA-related tax increases, including the 3.8% net investment income tax on wealthy individuals. But he would let individuals fully deduct health insurance premium payments.